McDonogh’s Curtis Jacobs (23) prepares to put in two of his 10 points during Tuesday’s MIAA A Conference basketball quarterfinal match with Loyola Blakefield. The 11th-ranked Eagles made a late fourth quarter push to knock off the No. 10 Dons, 53-51, in Owings Mills. Though his team’s season is in its final stages, McDonogh School basketball coach TJ Holmes still describe his team as “babies.” The young Eagles have grown the last couple of months, and now, they’re on the verge of a championship. No. 11 McDonogh defeated 10th-ranked Loyola Blakefield, 53-51, in a MIAA A Conference quarterfinal contest in Owings Mills. Freshman guard Everett Cooper had 17 points and three assists for the Eagles (18-8 overall), and Curtis Jacobs added 10 points and five rebounds. After squandering a second half lead, McDonogh regained its composure in the closing minutes of regulation to advance to a semifinal at No. 3 Mount St. Joseph Thursday evening. The Gaels defeated John Carroll School, 73-53, in the other quarterfinal Tuesday. In a match featuring spirited student sections, McDonogh’s faithful got the final laugh, storming the court to celebrate the basketball team’s first MIAA A semifinal berth. The Eagles featured two sophomores (Jared Billups and David Brown) and freshmen Cooper in the starting five Tuesday with a third sophomore (Dani Sutton-Dennis) coming off the bench. The Eagles will be in Irvington Thursday, thanks to Cooper, who sparked a late 11-2 surge with a deep 3-pointer, putting the hosts up 45-44, with 2 minutes, 30 seconds left in regulation. After Loyola regained the lead with two free throws, Cooper dropped another a dagger, this one from the corner, putting the Eagles ahead for good. The Eagles made a defensive stand, and junior Morgan Jacobs’ buried a contested 3-pointer from nearly the exact spot of Cooper’s shot, prompting a Loyola timeout with 1:12 remaining. Billups intercepted a pass and went in for an uncontested dunk, extending McDonogh’s lead to 53-46. Jacobs said its rabid student section was huge in the Eagles’ final push. One of the team’s veterans, Jacobs has been impressed by this season’s talented newcomers. The Eagles got off to an 11-4 first quarter advantage with Jacobs and seniors Drew Green and Lukas Michaelson combining for eight. McDonogh led 28-20 at the start of the second half, after sophomore’s David Green’s transition layup off a turnover. Loyola (19-12) found its rhythm from the 3-point arc, getting its first lead, 36-33, on Brendan Fox’s dagger with 3:42 left in the third quarter. Mitch Fischer’s two free throws put Loyola, which connected on four 3-pointers in the third quarter, up 38-33. The Dons led 46-45 with 2:19 left in regulation after two free throws from Tryllian Young. But the Towson school didn’t score again until Connor Hepting’s 3-pointer with 44.8 seconds remaining, making it 53-49. Fischer, a junior, finished with a game-best 20 points and nine rebounds for Loyola, playing its first MIAA A postseason match in a decade. Fox and Young finished with 11 and 10 points, respectively. The Eagles will get another shot at Mount St. Joseph, which got past them, 58-56, last month at Smith Center. The winner will play either No. 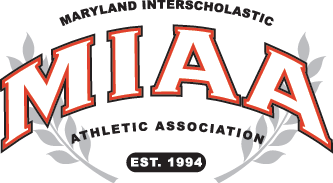 4 St. Frances or sixth-ranked Boys’ Latin School for the MIAA A crown, Sunday night at APGCU Arena at Harford Community College. The Gaels have beaten McDonogh in the past two MIAA A postseasons. Underclassmen like Curtis Jacobs (left) and Everett Cooper, who had a team-best 17 points, has put McDonogh a win away from the MIAA A final. The Eagles visit No. 3 Mount St. Joseph Thursday evening at Smith Center for a spot in Sunday’s title game at Harford Community College. Loyola – Fox 11, Hepting 2, Young 10, Fischer 20, Nnake 3, Smith 2, Moore 2. Totals 15 15-19 51. McDonogh – Michaelson 3, Cooper 17, Billups 6, Green 8, Brown 8, Jacobs 10, Sutton-Dennis 1. Totals 18 6-11 53.